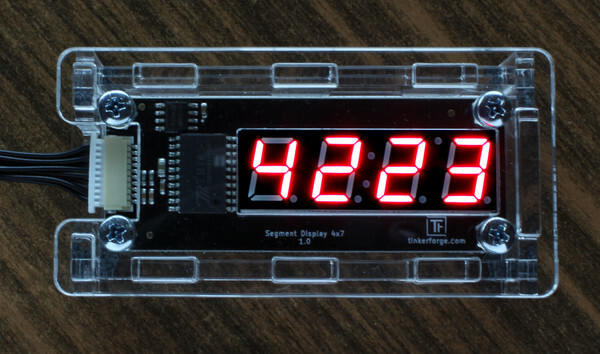 The Segment Display 4x7 Bricklet can be used to control four 7-segment displays and a colon by a Brick. Each of the 29 segments can be controlled independently. It is also possible to configure the brightness of the segments. Besides the possibility of controlling each segment independently, the API offers a user configurable counter. 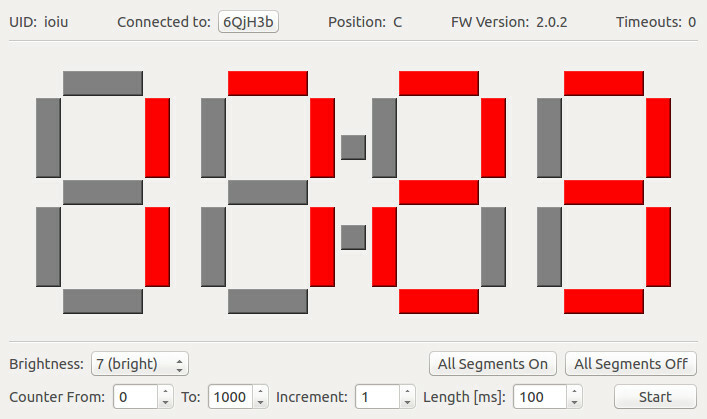 To test a Segment Display 4x7 Bricklet you need to have Brick Daemon and Brick Viewer installed. Brick Daemon acts as a proxy between the USB interface of the Bricks and the API bindings. Brick Viewer connects to Brick Daemon. It helps to figure out basic information about the connected Bricks and Bricklets and allows to test them. Connect the Segment Display 4x7 Bricklet to a Brick with a Bricklet Cable. 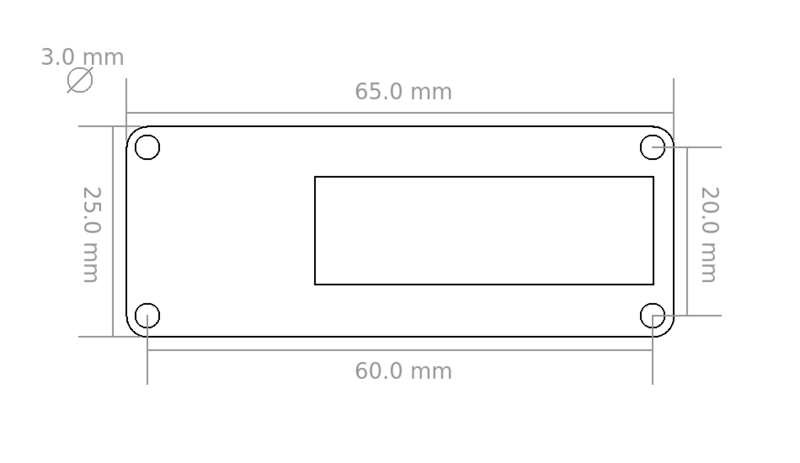 If you connect the Brick to the PC over USB, you should see a new tab named "Segment Display 4x7 Bricklet" in the Brick Viewer after a moment. Select this tab. If everything went as expected you can now activate/deactivate the individual segments. After this test you can go on with writing your own application. 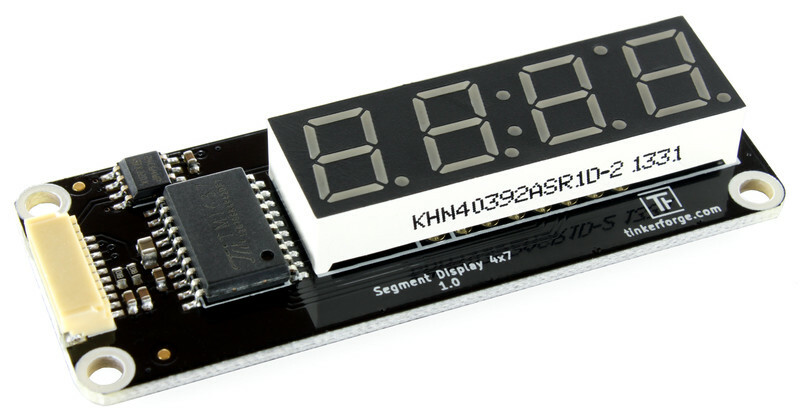 See the Programming Interface section for the API of the Segment Display 4x7 Bricklet and examples in different programming languages. 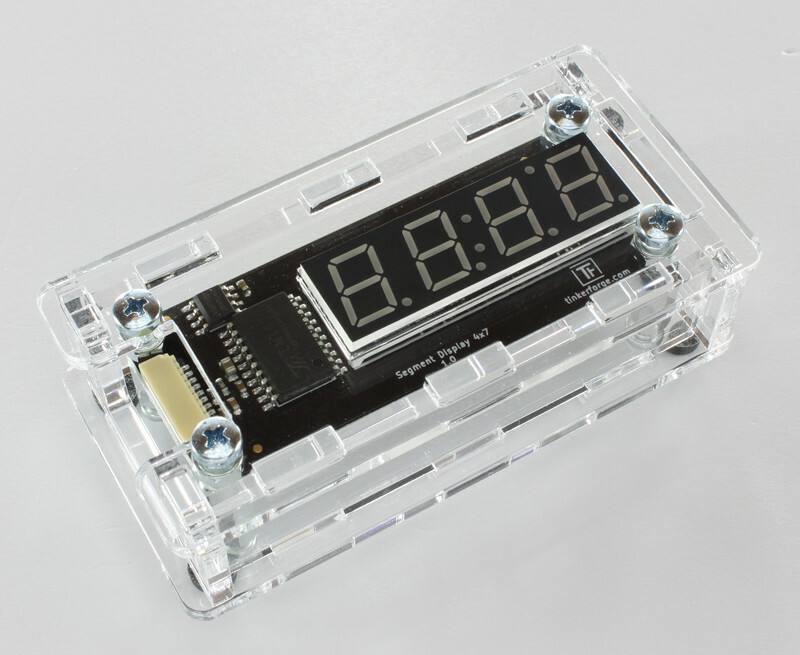 A laser-cut case for the Segment Display 4x7 Bricklet is available. 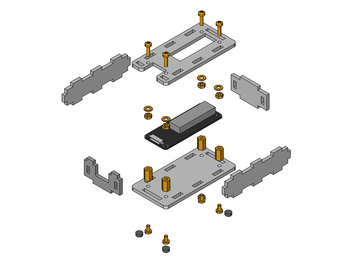 screw bottom plate to bottom spacers. When connecting the Segment Display 4x7 Bricklet (version 1.0) to a Master Brick, try to connect it to port A or B (not C or D). 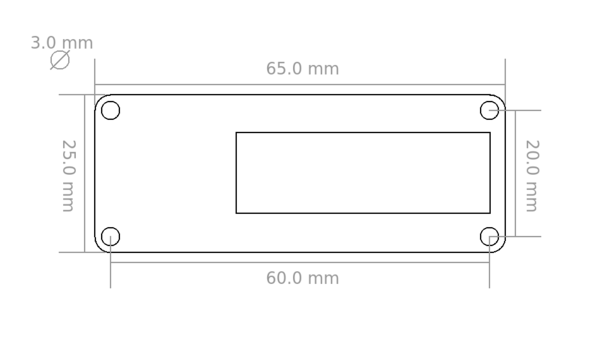 The reason for that is, that the Segment Display 4x7 Bricklet might interfere with the Analog-to-digital converter of the microcontroller due to a voltage feedback. This will be fixed in the next product version.